Back in 2006, I started this blog - albeit in a slightly different iteration, known as Keep Hope Inside. 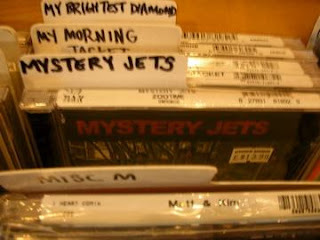 At the time, one of the most exciting emerging acts was London experimental outfit Mystery Jets. In celebration of Transgressive Records' tenth anniversary, we get our mitts on the previously unreleased 'Anno's Italy' from those embryonic days. Download via the widget below. The band may have veered toward a significantly more pop route (not necessarily a bad thing) since the old days of their manic Eel Pie Island gigs, and this near-13-minute opus is a prime example of their ambitious beginnings. The version you can hear below is certainly rough but that equally captures the early spirit of the band. As much a historical artefact as a song. Find more info at transgressiverecords.com.